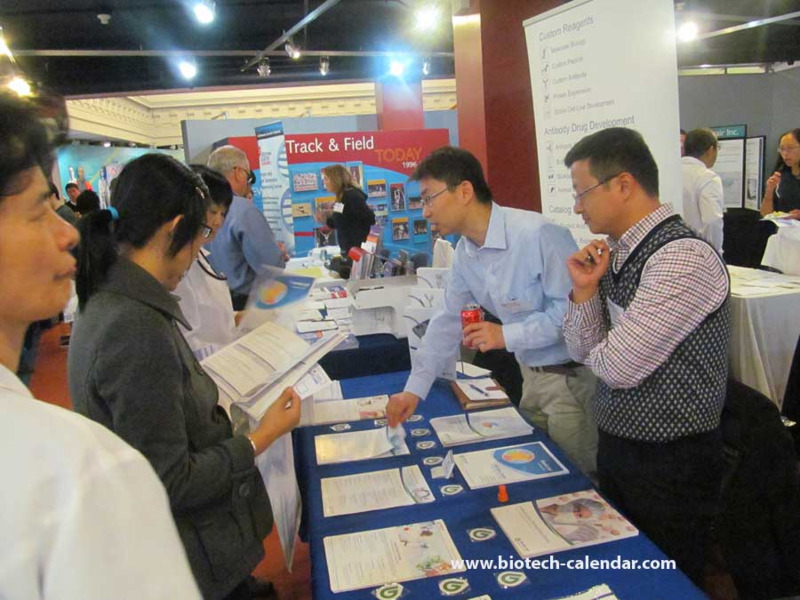 Biotechnology Calendar, Inc.’s three back-to-back New York life science marketing events are quickly approaching starting October 1st, 2013, and they are the perfect opportunities for lab suppliers to market their university lab equipment and life science solutions. Our New York life science marketing events attracted 850 attendees last year. Of the attendees, 216 were purchasing agents, professors and post docs, and 83 were lab managers. The visitors represented 63 different research buildings and 153 departments across the three campuses. How many days of canvassing campuses would it take to visit over 150 research departments? These three life science marketing events introduce lab suppliers to hundreds of leads over the space of a few hours in just three days. Columbia University, Rockefeller University and Stony Brook University have all recently received a wealth of NIH and NSF grants to conduct their research. The Columbia University Medical Center has an approximate annual research budget of $1 billion and a faculty of 5,462. According to Columbia News, the university recently received a $200 million donation for the construction of the new Zuckerman Mind Brain Behavior Institute. In 2012, the NIH awarded Columbia University $364 million in research funding, while the NSF awarded the university $95 million. According to the National Association of College and University Business Officers, Rockefeller University is one the most fiscally stable research institutions in the United States. The University’s 2011 endowment totaled $1.7 billion, and areas of study include molecular cell and developmental biology, virology and microbiology, biochemistry, medical sciences and human genetics, immunology, structural biology, and neuroscience. The NIH gave Rockefeller University $70.1 million in 2012, while the NSF gave the university $844,385 in research funding. In 2011, the NIH reported that Stony Brook University’s direct plus indirect costs in the life sciences (excluding R&D contracts and ARRA awards) totaled $53.1 million. According to the NSF, the total R&D expenditures in the life sciences at Stony Brook University totaled $92.2 million in 2010. Stony Brook University received $59.3 million in NIH research funding in 2012, while the NSF awarded Stony Brook University $22.1 million that same year. Don’t miss your chance to get to know these three well-funded universities in the New York market! If you are a lab supplier interested in marketing your university lab equipment and life science solutions at New York life science marketing events, Biotechnology Calendar, Inc. invites you to attend our annual Armory Track and Field Center BioResearch Product Faire™ Event at Columbia University on October 1st, 2013, our Rockefeller BioResearch Product Faire™ Event on October 2nd, 2013, and our Stony Brook BioResearch Product Faire™ Event on October 3rd, 2013. Biotechnology Calendar Inc. is a full-service science research marketing and events-planning company that organizes life science marketing events at top research universities nationwide. For more information on our Columbia University, Rockefeller University or Stony Brook University life science marketing events, or to view more detailed funding statistics for these schools, click on the buttons below. If you would like to market your university lab equipment and life science solutions at life science marketing events closer to home, we encourage you to view our 2013 calendar of events.